We will have Champagne at Midnight! Doors open to the public at 9pm with a $10 cover. 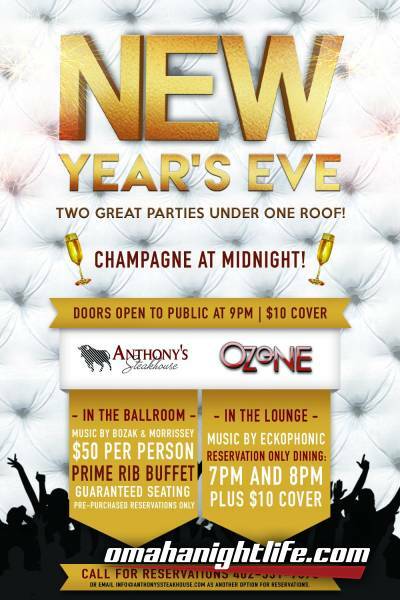 Call 402-331-7575 to make your reservations!